Are you stuck in a job you don’t like? Do you feel the desire to change careers? Is there something you’ve always wanted to do for a living? 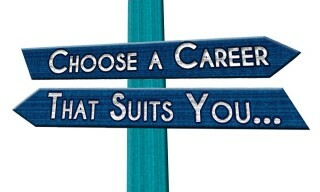 Sometimes a job or career change, or even the pursuit of your ideal job or way of life, is necessary or desired. It is extremely rare when someone finds a job or profession they truly love every hour of every day. That concept is basically a pipe dream. Nonetheless, a job or career that is personally and professionally rewarding is much better than one that makes you miserable most of the time. First of all, it is important to have a job or source of income to pay your bills and debts, as well as provide shelter, clothing and food for you and your family. So, quitting a job because you don’t like, it is not always the practical dive to take, unless it has become truly harmful to your sanity, safety or well-being. 1. Truly learn what talents and traits you have and need. Is there a skill you need to develop to put a talent into action? If so, get trained and/or educated so you can have that skill. Or do you have a unique personality trait that can be of great value in certain jobs or careers? In some way you are gifted or can become gifted, so get to the point where you can use your gift to your advantage as well as for the benefit of others. Which type of companies, organizations or people can benefit from your talents or skills? Where are they located? Read trade magazines, newspapers and books and scan corporate websites (your local public library is a great resource to access these sources for free). 3. Study prospective employers so you are knowledgeable or aware of policies, personnel and chances for advancement. Are these things a good fit for you? If so, determine how your talents or skills can benefit them and/or their customers or clients. Forget about “a job.” Forget whether or not there is an opening. Forget the usual routine of “have you got a job for me?” Concentrate on what you can give. 4. Once you have your plan in mind, arrange with an experienced writer, to help you put it in writing--neat form and in full detail. Usually this is in a résumé and cover letter format, but perhaps you can be creative and maybe make a PowerPoint presentation, a brochure or maybe even a website. After all, you’re selling yourself as someone who can give something of value; whether it is ideas, services or connections, so you want your message on a medium that will grab someone’s attention and make them interested in you. Every company or organization has room for the person who has a definite plan of action it can value from--so make it obvious to them that they have room for you! 5. Be sure your message is delivered to the right person who has the authority to make the decision to bring you on board. (The pencil pusher in human resources IS NOT that person!) Find a way to cross paths with this person even if you have to slip in the back door to do it. Or maybe you can make an appointment by contacting their administrative assistant. If their assistant is reluctant in accommodating your request, don’t say it’s a job interview rather, emphasize the importance of the appointment being to present a tremendous opportunity for the company or organization. 6. Lastly, you can look within your own company or organization to create an opportunity for yourself. My daughter, who has been slowly working her way up in her company, emailed this message to the company president after she completed numerous marketing projects for him per his request (tasks/duties outside of her job description): “[Our company] could use a marketing/communications coordinator to work cross-departmentally, maybe someone who has worked in most of the departments and knows our products very well. I have a résumé if you’re interested.” To which he replied, “Okay, bring me your résumé.” She immediately walked down the hallway and handed it to him. So now what do you think her chances are of getting this position if he actually creates it? (And probably with an accompanying pay raise!) So don’t be afraid to go after what you want. Use these strategies and always demand to be paid what you’re worth. If you do, your chances of getting the exact position you desire become bigger and better than you ever thought possible.